Missouri Education Watchdog: Is this Information Necessary for Educating Your Child? Just Wait. The Questions Will Become More Intrusive. Is this Information Necessary for Educating Your Child? Just Wait. The Questions Will Become More Intrusive. Story update: Momformation reached out to Dry Creek School District this morning and heard back from superintendent Mark Geyer this afternoon. He says the question about how a child was delivered at birth was included in a health form required for enrollment that was created in 2007. At the time, research indicated that children delivered by c-section were more likely to have certain learning disabilities and health issues. Geyer says the district looked into the matter after the CBS segment and found that research related to c-sections has changed. This morning, the district introduced a revised form. “The question about c-sections might have been pertinent at the time the form was introduced,” Geyer said. “But we’ve realized that the research has changed and there’s no longer a correlation. The researchers found out that earlier delivery is proportionate to higher risk of learning disabilities. About 4.9 percent of the studied cases were having special education needs. 1, 565 kids born before during 37 to 40 weeks needed Special Educational Needs (SEN). Kids born at the 39 week were more likely to have learning disabilities than their counterparts born at the 40 week of pregnancy. The study was carried out for 12 years. The scientists also mentioned that SEN was more relevant and desired during the school time in the kids that were born after 40 weeks. 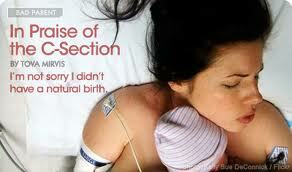 They concluded that a complete gestational period ensure healthy and normal life for babies. They believed that till now, when the previous researches only considered babies born at 37 week as preterm as compared to the term babies born in between 38 to 40 weeks, this research can be useful to analyze and assess the SEN and learning disabilities in the babies. Is this the beginning of assessing your human capital based on their entrance into the world? Should your human capital be labeled as high risk for learning disabilities before they even are enrolled in school because he/she was born via C-section? Is this the start of obtaining personal information for the alleged educational benefit of your human capital? The new data system questions want the legal ability to know the religious and political belief of you and your child. If parents believe asking about the birth circumstances of a child is intrusive, they might be surprised to discover what else schools and the government want from you and your human capital. Maybe you could state your student was adopted and you don't know the birth history. This most likely would place your human capital in yet another category for at risk students. How can a school possibly service a student without knowing the biological background of the human capital? Oops. It's difficult to place a label on human capital who doesn't come with full disclosure. The color that best describes an individual's eyes.